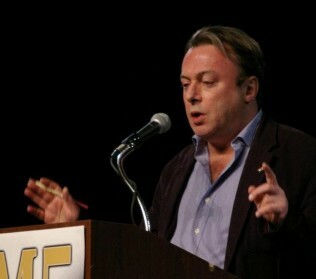 Chistopher Hitchens was one of those journalists who you either loved or hated. I have to admit, though, he was one son-of-a-gun that I really enjoyed reading. It didn't matter if I agreed with him or not because either way I was going to walk away thinking about whatever piece he wrote in some other context. And for me - that is important. Being able to view an issue from other angles is absolutely paramount to me. 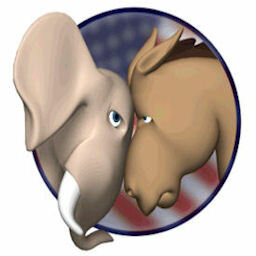 Perhaps it is because I do not like subscribing to one way of thinking over another. Still, the only way I can stay engaged with the issues is if I have a writer whom I can trust and one that can articulate the issues in a fair manner. As such, I lost a very important conduit with the death of Christopher Hitchens. Then again, the world of journalism suffers a great loss too. And that is saying a lot given the sorry state of mass media these days. So far as I am concerned, Christopher Hitchens' passing will leave quite a void in the information minefield. Thought provoking writers are far and few between. But I must admit that there was another quality about Hitchens I enjoyed. He was, at least to me, a real person despite his ultra high intellectual skills. At his core he was pretty much a regular guy who enjoyed his drink "enough to kill a mule" and for having his smoke. Most important though, he was a guy I could relate to. On a business trip, long ago, to Washington DC - I had the absolute pleasure of listening to him debate someone at a popular area watering hole that was frequented by journalists, insiders and politicians alike. And I have to tell you something - there has yet to be another instance of where I got to see a near inebriated intellectual tear apart a Washington Insider in quite the same manner as that day. He was absolutely brilliant! I suppose in many ways Christopher Hitchens was like a highly skilled surgeon. Albeit his words were his scalpel, but they were every bit as sharp as the instrument itself. Through it all, though, I got the sense that Christopher Hitchens was also the type of person who was willing to suffer the consequences for what he truly believed in. As I said earlier, it really didn't matter if you agreed with him or not. But he did give us all his very best effort to think about things in another way. And to me - that is a gift. Agree to disagree on some of your points, but I'm glad you wrote from another viewpoint. I can still appreciate that he was a skilled writer, despite his faults. Nice post! Emma - Thank You for recognizing my intent and your comment. Like you, I can appreciate the skilled writer despite his faults.